Rebecca Dunham is a poet an d Professor of English at the University of Wisconsin-Milwaukee, where she teaches creative writing. Her work has been described as post-confessional and concerns itself with feminist and ecological issues. 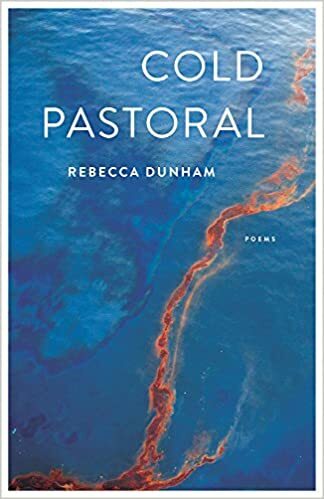 Her most recent publication, Cold Pastoral, is a collection of poems based on modern ecological disasters such as the Deepwater Horizon oil spill. She has published four other collections of poetry, including Fascicle, Glass Armonica, The Miniature Room, and The Flight Cage. Q: What does Cold Pastoral mean, for you? What do you hope readers gain after reading the poems? Dunham’s poetry comes to us at a desperate time. We currently face the ecological threats of global warming, as exacerbated by our human interactions with the world we inhabit. Pollution, over-population, and deforestation are serious hazards to our environment, and Dunham understands our human contribution to the problem. With her poems, she hopes to educate and inform readers of the very real consequences of forgetting to care for the Earth.